MOSCOW (AP) — A high-level Israeli military delegation visited Moscow on Thursday to present detailed information related to the downing of a Russian warplane by Syrian forces that responded to an Israeli air raid. 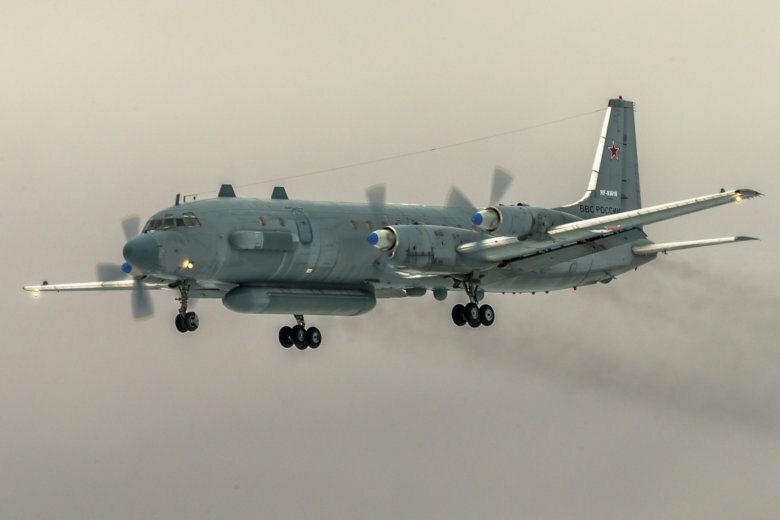 All 15 crew members on board the Russian Il-20 reconnaissance plane were killed when it was downed Monday by Syrian air defense forces that mistook it for Israeli jets. The incident threatened to derail the close security ties between Russia and Israel. Israeli Prime Minister Benjamin Netanyahu quickly called Russian President Vladimir to express sorrow over the death of the plane’s crew, blamed Syria and offered to share detailed data. On Thursday, a delegation of Israeli military officers led by Norkin, held several meetings in Moscow with their Russian counterparts. The Israeli military said in a statement that they presented the situation report regarding the plane’s downing, as well as the pre-mission information and the findings of an Israeli military inquiry. The Israeli military has said its fighter jets were targeting a Syrian military facility involved in providing weapons for Iran’s proxy Hezbollah militia and insisted it warned Russia of the coming raid in accordance with deconfliction agreements. It said the Syrian army fired the missiles that hit the Russian plane when the Israeli jets had already returned to Israeli airspace. But the Russian Defense Ministry charged that the Israeli warning came less than a minute before the strike, leaving the Russian aircraft in the line of fire. It accused the Israeli military of deliberately using the Russian plane as a cover to dodge Syrian defenses and threatened to retaliate. The Russian military made no comment after Thursday’s meetings with the Israeli delegation. Associated Press writers Nataliya Vasilyeva in Moscow and Josef Federman in Jerusalem contributed to this report.